When Henry Morrison Flagler first came to the West Palm Beach area in 1863, he saw instant potential. Calling it a veritable paradise. It’s easy to imagine what feelings he must have had while dreaming big dreams of development. That’s a feeling I’m sure a lot of people get when they merely visit the area. Currently there are 2 million homes listed in the city of West Palm Beach. To be a West Palm Beach mover who is a reliable, accountable and trustworthy one has to understand the demographic. 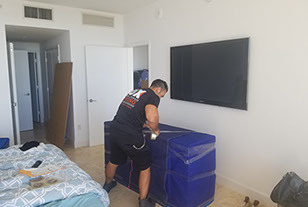 Positioned around Palm Beach where some of the worlds richest people are housed, West Palm Beach moving companies are sure to encounter more than a few of them while in business. So here, bringing your A+ game is a must. Going above and beyond and providing a level of service surpassing expectations is not only our forte, we feel it is a necessity! 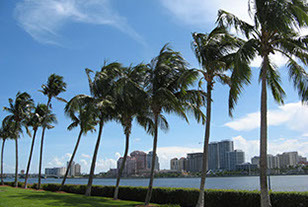 West Palm Beach covers nearly 60 square miles. The highways and byways pump people and goods to all of the capalarie towns and homes. Being a mover in West Palm Beach demands knowledge of all the routes, tolls and general areas. When talking to a customer, a moving company in West Palm Beach should sound very familiar with the city they conduct business in. Being knowledgeable of the landmarks and areas, a mover in West Palm Beach could secure a client just by being in the know. Servicing the West Palm Beach area for 12 years now, Lux Moving and Storage have come to know all of the 60 square miles of West Palm Beach. We have left lasting impressions on the toughest client critics. All over town we bring more than what others expect of us, making a standard practice out of our client’s satisfaction. Be one of many to have a truly great moving experience and reach out to us for your moving needs. Give us a call and see why Lux Moving and Storage is so highly recommended in the industry.